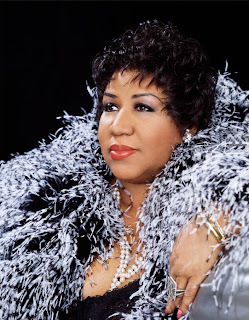 OK. Aretha Franklin @ Bass Concert Hall on April 19th @ 8pm. Tix here. Aretha Louise Franklin (born March 25, 1942) is an American gospel, soul and R&B singer born in Memphis, Tennessee, but raised in Detroit, Michigan. She has been called for many years "The Queen Of Soul", but many also call her "Lady Soul," as well as the more affectionate "Sister Re". She is renowned for her soul and R&B recordings but is also adept at jazz, rock, blues, pop, gospel, and even opera. She is generally regarded as one of the top vocalists ever, due to her ability to inject whatever she may be singing about with passion, soul and sheer conviction. Franklin is the second most honored female singer in Grammy history after Alison Krauss. Ms. Franklin has won nineteen competitive Grammys (including an unprecedented eleven for Best Female R&B Vocal Performance, eight of them consecutive), and the state of Michigan has declared her voice to be a wonder.